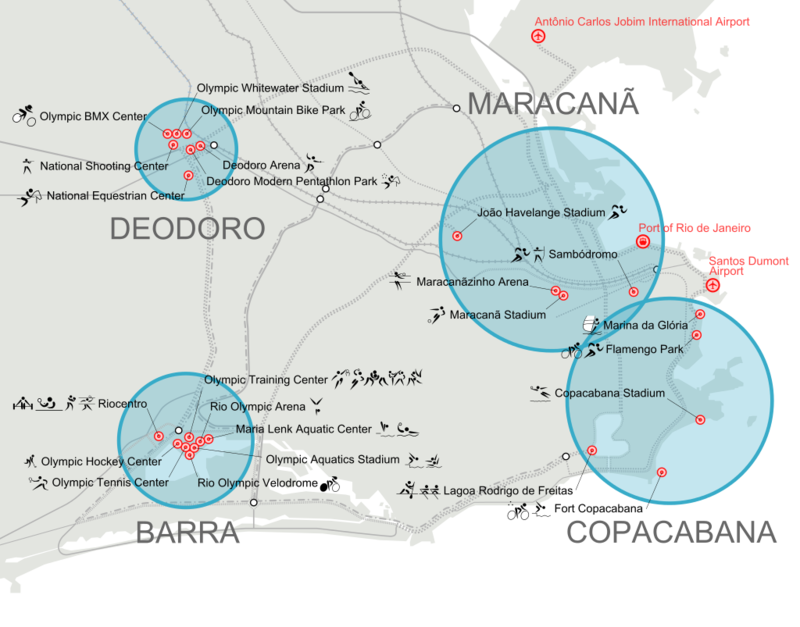 The Rio 2016 Olympic Stadiums are divided into four key zones throughout Rio: Barra, Copacabana Beach, Maracanã, and Deodoro. During the course of the two weeks, different events will take place in their respective zones, except some football which will be played in Manaus, São Paulo, Salvador, Brasília and Belo Horizonte, as well as in Rio. We provide a heads up on getting to the stadiums while in Rio. The Barra Zone is located in Barra da Tijuca, in the west of the city, and will host most of the competitions, supporting a total of 23 disciplines and 15 venues. It also features the International Broadcasting Center (IBC), the Main Press Center (MPC), the Olympic Village (home to the athletes) and the Olympic Park itself. The place is big and expansive, so for those visiting this area, use comfortable footwear as you’ll end up walking more than you imagined. The Olympic Park will host sports such as tennis, fencing, gymnastics, and swimming. Also in the Barra Zone is the Riocentro complex and pavilions for boxing, weightlifting, and badminton. Located south is the Olympic Golf Course, and the nearby stunning beachside will be the starting point of the cycling road time-trials and athletics walk events. Bus: Take bus 613, or LECD10 will take you directly there. Coming from downtown, the direct bus is the 352 (Candelaria-Riocentro). BRT: Coming from the north zone, take the TransCarioca and get off at Rio 2. For those already in Barra, go to the main bus terminal, Terminal Alvorada, and take the BRT (Express Madueira) and get off at Rio 2. For those coming from the west zone of the city, take the BRT TransOeste 931A and get off at Salvador Allende station (it’s in front of a big supermarket ‘Mundial’). These two routes are the quickest, but be prepared to walk about ten minutes to get to the main entrance after you get off at the station. Taking a taxi is an option, but traffic at its best is heavy in Barra da Tijuca; throw in a mix of Olympic games and numerous visitors, and it’s a transit nightmare. If you do take a taxi, plan ahead and leave early. 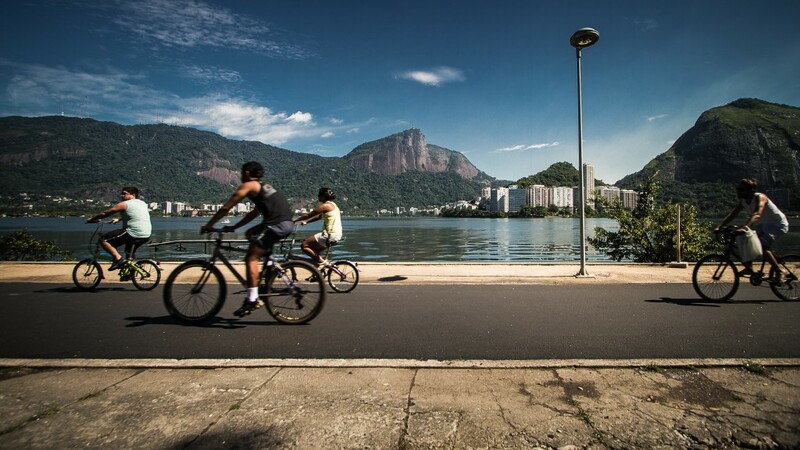 In the north of the city lies the Deodoro zone which will host some of the most radical sports of the Olympics including Mountain Biking, BMX, and canoe slalom. It will also host the equestrian, hockey, rugby, and pentathlon events. 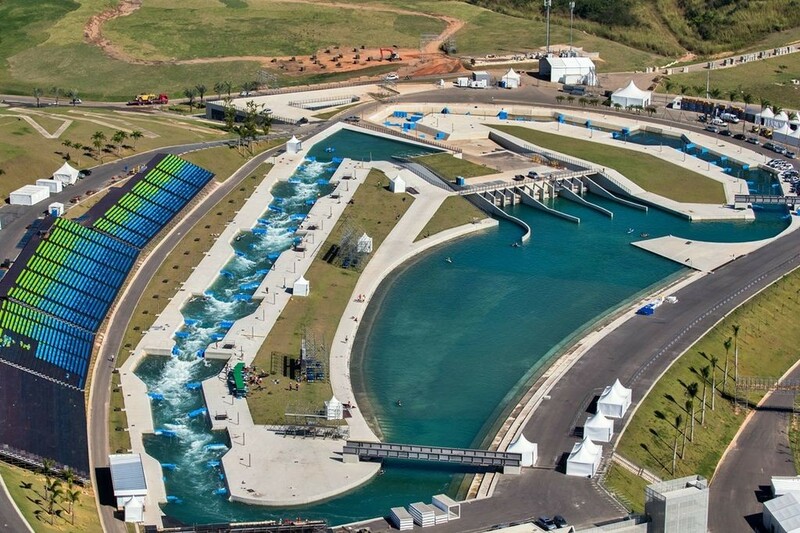 The Deodoro zone consists of Deodoro Olympic Park, Radical Park, and the equestrian center. All parks are relatively close but will require a lot of walking to get from one to the other. It is advised to use public transport in this zone as parking is not available. Look for the Rio 2016 team members dressed in green for help. Train: The commuter train is probably the easiest way. Take the train from Central in the direction of Santa Cruz. It is easy to get to Central; both Line 1 and Line 2 of the metro connect there. Get off at Vila Militar and walk from there. For those going to the Radical Park, get off at Ricardo Albuquerque, as it’s a bit closer. Bus: There is a bus, the 725, that takes you to the area, but it requires a lot of walking to reach the parks. The train is more advisable. This zone is probably the easiest to get around as its long-standing status as a tourist hot spot has given it time to adapt accordingly. Everywhere is well signposted and within easy reach. The beach will host volleyball; nearby Lagoa will provide the venue for rowing and canoeing; in Marina de Gloria, visitors can watch sailing, and Copacabana Fort sets the open-water marathons and triathlon. Metro: Take the metro on Line 1 (the orange line) to any of the following stations: Cardeal Acroverde, Siqueira Campos, and Cantagalo, to get to Copacabana. From there, the beach is easy to find. For Marina de Gloria, go to metro station Gloria and walk towards the beach; it’s signposted. Bus: Buses run throughout the city to Copacabana. Pick any bus that has ‘Copacabana’ written on the front; there are plenty. The most important stadium in the Maracanã zone is arguably the Maracanã Stadium, which will host the Opening and Closing Ceremonies. It will also be the venue for several football matches. Engenhão (the Olympic Stadium) provides the setting for volleyball and is another football venue. Other sports in this area include the marathon and archery. 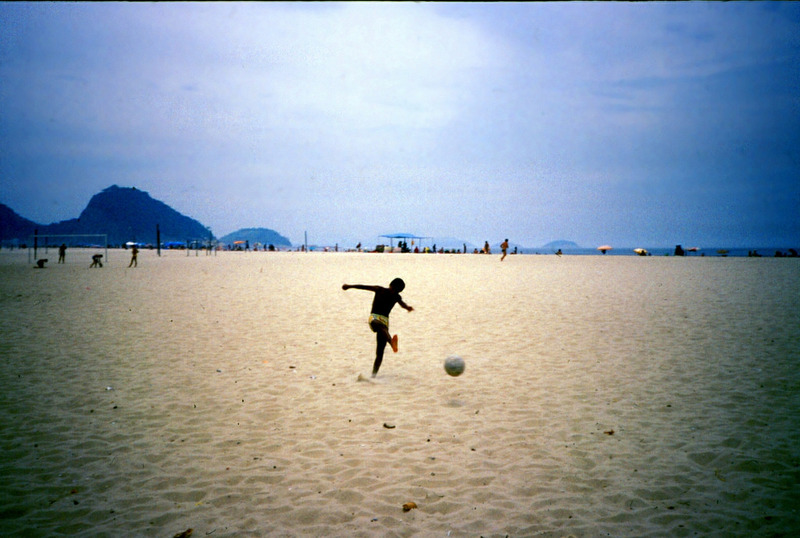 It will also include Maracanãzinho which is right next door to Maracanã. Metro: Getting to Maracanã is easy. Take the metro Line 2 (green line) to Maracanã, and you are directly there. You need to make a transfer from Line 1 at Central or Estacio to get to Line 2. Train: To get to the Olympic Stadium, the commuter train is the easiest route. From Central, any train will connect to Engenho do Dentro, the station right in front of the Olympic Stadium.